Not only was summer late getting here this year, but my wife and I found ourselves moving across town just as the season started. 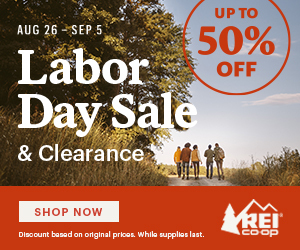 Hearing our friends talk about their Lake Tahoe adventures as we spent our weekends in a dirty garage sorting through old junk was getting us down. But finally we were moved, and ready to go play on the trails! It was a celebration. 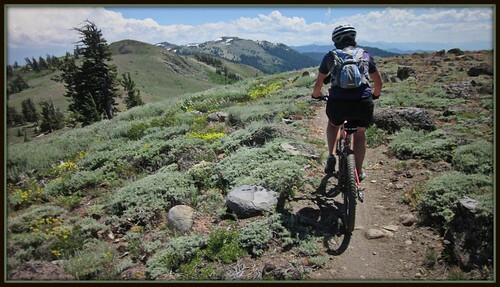 Last weekend Kristy and I headed up to Spooner Summit for a loop on the Tahoe Rim Trail and Flume Trail. 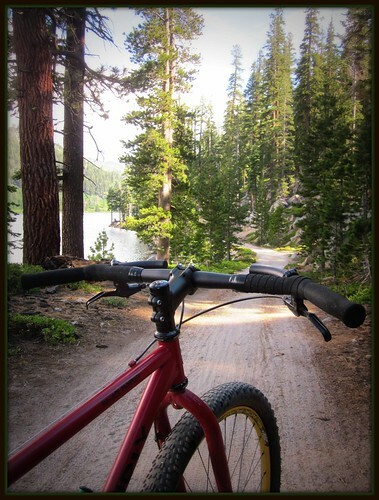 After a leisurely morning of getting the bikes ready, we headed up to Spooner Lake. We were on the trail just after noon, and took our time getting over to North Canyon. Riding up at the Lake is exciting, and sometimes you catch yourself heading out too fast. It’s best to conserve your energy for the climbs that await you though. It was on our initial climb that we had the only “crash” of the day. I was in the middle of the trail, letting Kristy get by me as I rested. As she passed, I swung my body around, hitting her firmly in the shoulder with my backpack. This sent her front wheel up the steep bank, causing her to loose balance and fall over. Oops. “Sorry, sweetie! I’m sure those people up the trail pretending not to look didn’t see a thing!”. When we got to the really steep part at the end of North Canyon, we played mountain bike leap frog. Kristy rode the hill non-stop in the granny gear, and I, being on my single speed, would pass her and then rest. Then she’d pass me again while I was getting my lungs back in my chest. We repeated this sequence all the way up to the saddle above Marlette Lake. 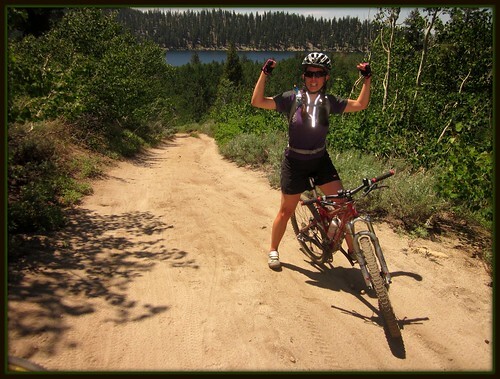 After a nice descent down to Marlette Lake, we just kept riding, heading along the east side of the lake on Hobart Road. The foliage is lush and thick here, and the road was pitted with many mud holes. For a time, it felt like being in New England rather than Nevada. It wasn’t long before we left the deciduous trees though, and climbed up and away from the lake. The road gets really steep here, and I decided that I wasn’t going to get any medals for not putting a foot down. It was time to push my bike. My knees thanked me. This section of trail is under 2 miles, and there are breaks here and there, but I was really looking forward to getting to the top. I’ve done this loop a few times, but always in the clockwise direction. My reasoning was that I didn’t want another big climb immediately following the grueling ascent up North Canyon. After being chastised by a friend though, “You never climb singletrack, and then ride down a road! You did it backwards!”, I decided to toughen up and just get all the climbing done up front. We had just finished the worst of the steep climb when we ran into friends Dan and Wendy. They were doing the loop clockwise for the first time and remarked that counterclockwise was the way to go. 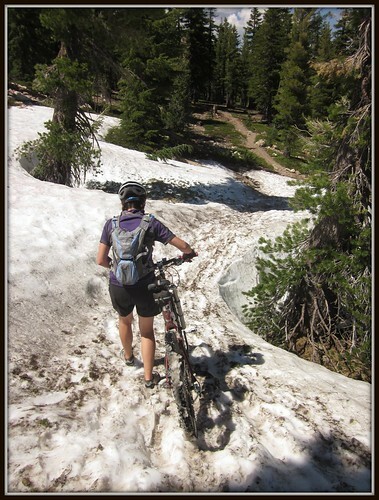 With their insight and the worst behind us, I was excited to get on the Tahoe Rim Trail just ahead. Not far into the Tahoe Rim Trail section, we came to the TRT Campground. It’s developed quite nice with a few sites, complete with some nice picnic tables, a bathroom, and even a well. If you’re running low on water, and don’t have a filter, this stop may be your best bet. We have to go over this? Really? 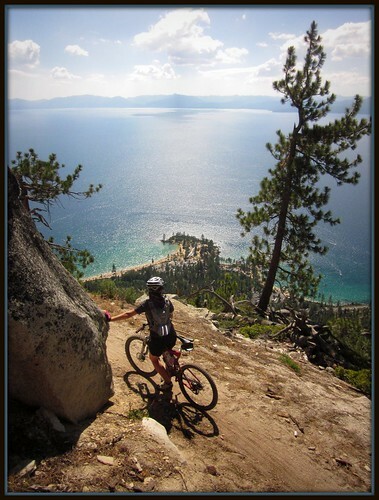 From here, the Tahoe Rim Trail climbs up out of the trees, and gives the rider good views of the valleys to the east. 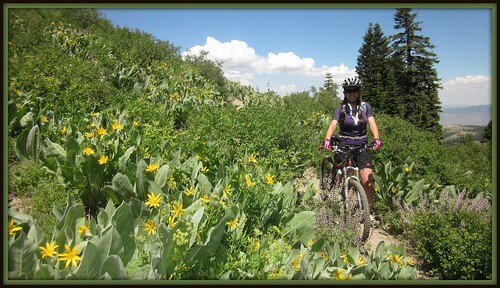 One particular section is full of tall healthy Mules Ears, and the trail looks like it climbs up into the clouds. A group of mountain bikers apologized that they were blocking the trail for photos, but I told them not to worry. I was stopping too! The remaining climb up Marlette Peak was very enjoyable with incredible vistas. A variety of wildflowers covered the ground, nearby mountain peaks towered around us, and the trail climbed and twisted its way to the top. 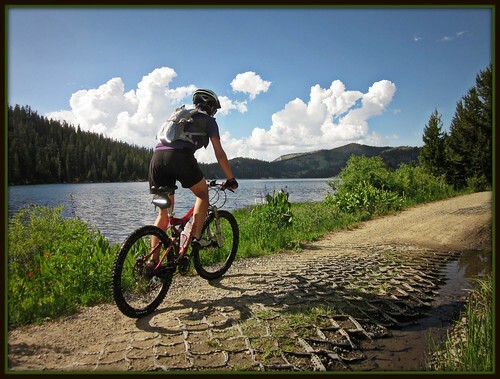 As the trail crests the peak, you feel like you’re riding on top of the world. Once back on the west side of the mountain, you get treated to an almost sacred view of Marlette Lake and Lake Tahoe together. I always have to stop here and just stare. It’s a wonderful spot to have lunch and rehydrate. The soles of Kristy’s shoes are pretty worn, and she was having problems getting traction climbing the snow. It took some time to get up onto the bank, but once up top, we found firm snow for walking. The path came perilously close to some deep tree wells, so we took our time. Before long we could see the dirt again. 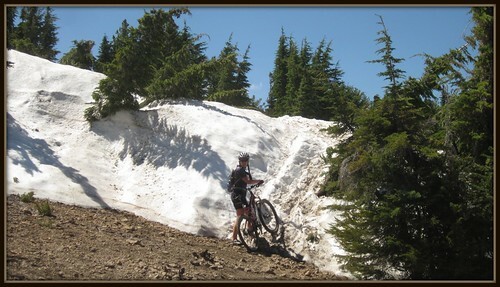 Once we rejoined the trail, it was clear of snow for the rest of the ride. After finishing up the last little climb, it was time to descend the switchbacks all the way down to Tunnel Creek Road. We had a blast zipping through the trees, rolling over boulders, and trying to find the best line through the obstacles. Kristy thanked me for not making her climb this section. At the bottom we passed Twin Lakes. This may have been the first time I’ve actually seen water in these two seasonal ponds. Usually it’s just a meadow by the time I get up there. 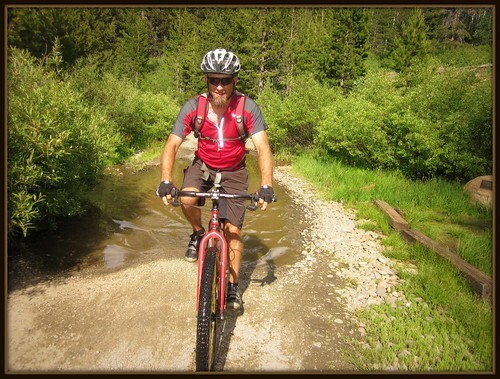 Once at Tunnel Creek road, it was just a short descent down to the Flume Trail. Climbing this steep road is always tough, so it was a real treat to just effortlessly coast down! We got onto the north end of the Flume Trail and began our easiest pedal of the day so far. 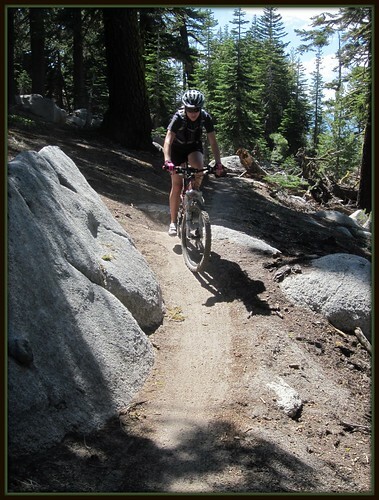 The smooth, packed, heavily-used Flume Trail gave us a nice break from the technical Tahoe Rim Trail. When we got to the cliff section, we both remarked that it seemed scarier than normal. Maybe it was just a different feeling having the drop-off on the right hand side. 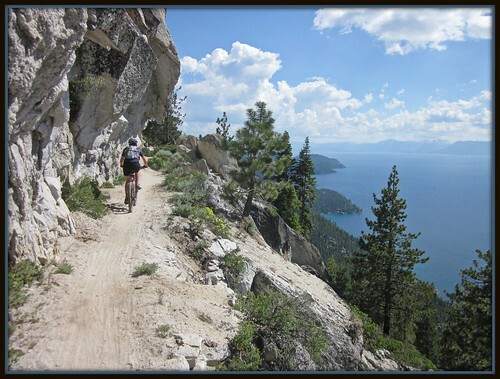 Or maybe a cliff is just a cliff, and this trail gives you a thrill no matter how many times you’ve ridden it. I said I wasn’t going to stop for pictures that much, but the views are so beautiful through here, that it’s almost impossible not to reach for the camera. It was a bit later in the day by now, and we didn’t encounter too much oncoming traffic. We even saw some groups we passed in North Canyon earlier in the day. 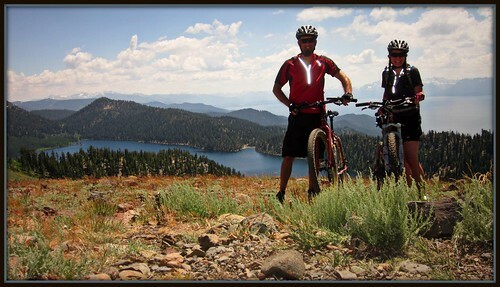 We climbed up to Marlette Lake at the top of the Flume Trail, and rode past the dam. Later in the year it’s possible to ride this section and stay dry, but with the water so high right now, we were going to get wet. Normally I like to keep my drive train and other moving parts dry, but there wasn’t an easy way around the water this day. 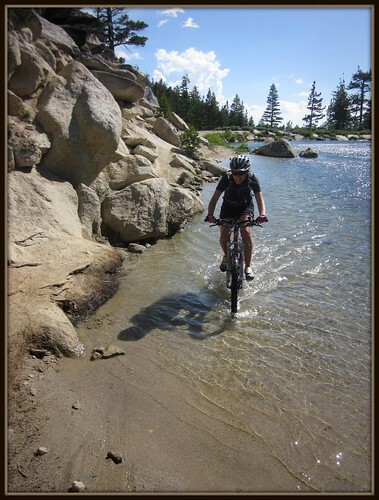 It was splash, splash, splash as the pedals smacked the water until we were back on the road around Marlette Lake. It was nearing 5PM, and the forest road was peaceful and shady. It was nice and relaxing after the Flume Trail where you constantly have to pay attention. I even rode with no hands for a bit. Storm clouds were brewing to the south, and far away thunder rumbled. It still seemed far in the distance though, so we didn’t feel rushed, only enjoying the beauty of Marlette Lake in the subdued light. The climb back from Marlette Lake to North Canyon is not long, but it always seems like a grinder at the end of a long day. 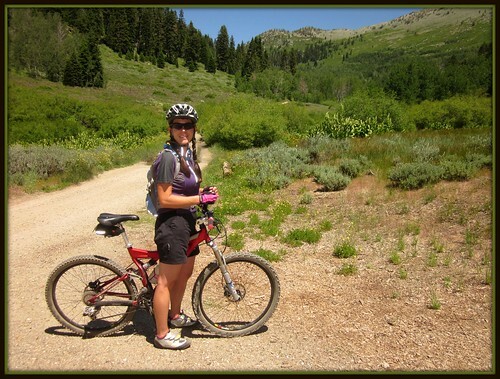 We took our time getting to the saddle, looking forward to the long four mile descent back to the trailhead. The sky was getting darker, and a few raindrops fell here and there. There were still riders coming up the canyon, just starting their ride late in the day with the dark clouds chasing them. We made it back to the trailhead and checked in with my son. He said he was worried about us, because of all the thunder and rain back home. Apparently most of the weather had missed us. We only had a few drops, and the weather was already starting to clear again. It’s strange to go to the mountains to get out of the weather. We were both exhausted, but had a great time. 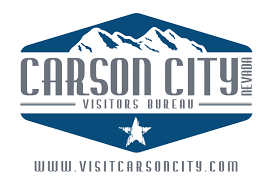 Plans for the next adventure are already underway! The complete photo collection of this trip can be found on Flickr HERE. 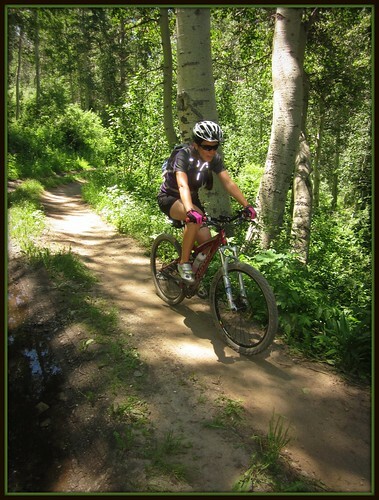 Maps, trail conditions, and information about bike rentals can be found on The Flume Trail Website. Nice pictures! I need to get out there sometime soon. What do you see for critters in the vicinity of those trails? We saw plenty of squirrels and birds, but it’s not uncommon to see a bear. 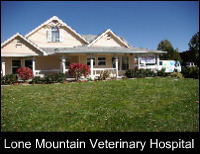 There are mountain lions in the area, but I’ve never seen any thankfully. 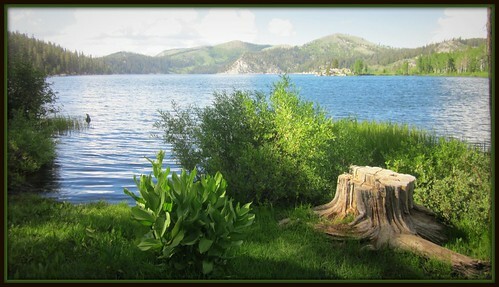 They also raise cutthroat trout in Marlette Lake, and you can often see them swimming near the inlet. Damn, that looks like a great ride. Fantastic photos. It’s been a while since I dropped in on your blog. It looks great. And yeah, I ended up timing out of the TRT100 at mile 80. But I had a great time and the course was beautiful. It followed a few of the trails you rode in the post. 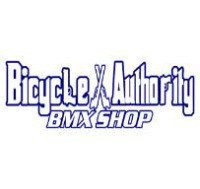 I do remember thinking frequently how I definitely needed to come back with a bike. I’ll be checking in more often now that I know. Wow…80 still blows my mind! Nice to finally meet you at the High Sierra Brewery! I need to catch up on your blog as well. Looks like a lot has happened since Alaska. Hopefully we’ll see you on the TRT again soon! Great pictures Jeff. I haven’t made it up to the Flume yet this year. 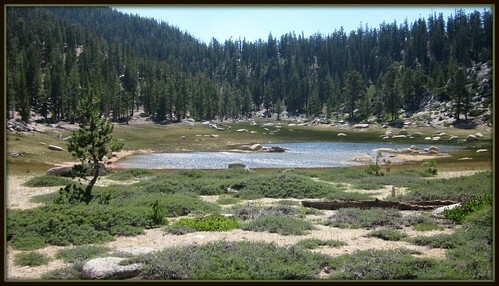 I am heading up to the Lakes Basin area this weekend. 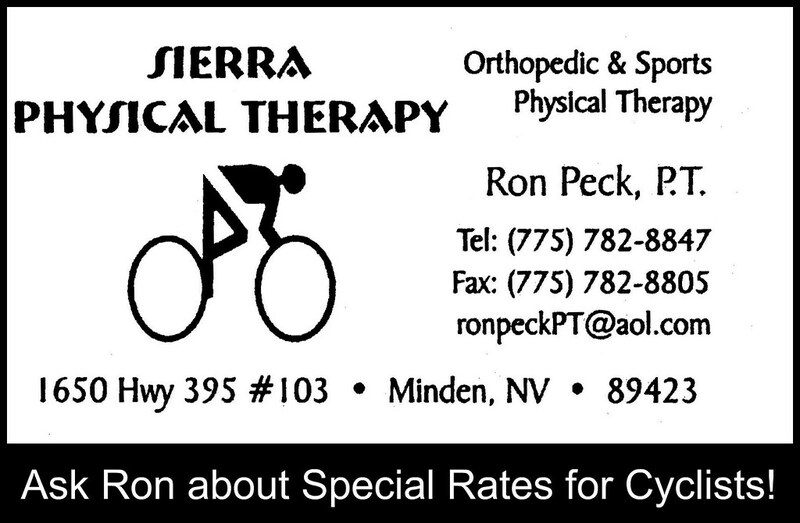 I will try to get some pictures of our riding up there. Thanks, Kary. Where exactly is the Lakes Basin? It is above Graeagle on Gold Lake Highway heading towards Downieville.